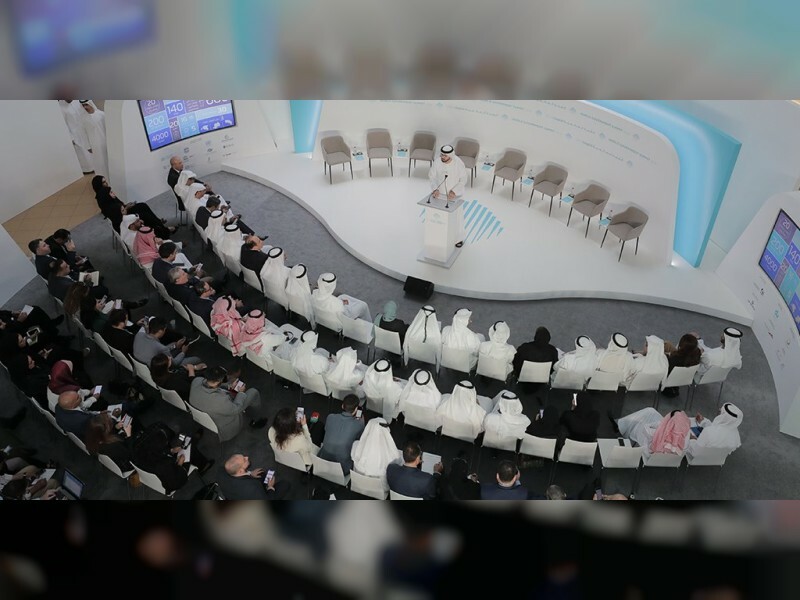 DUBAI, 7th February, 2019 (WAM) -- With the advances in technology rapidly transforming society, it is imperative that governments should revisit, redefine and redesign the next generation of their services, in addition to building the most effective delivery models The seventh edition of the World Government Summit (WGS 2019) will convene a wealth of top-tier policy and decision makers, government officials, experts, and innovators from around the globe for the Government Services Talks (GX Talks), a session aimed at determining the next steps in building the governments of the future. The summit will also witness the launch of the ‘GX Platform’, a space dedicated to shaping a meaningful dialogue around ways to enhance service experiences that meet customer expectations, in addition to sharing best practices and developing new models of governance. Mohammed bin Taliah, Assistant Director General, Government Services, Ministry of Cabinet Affairs and the Future, said: "The UAE government has defined and adopted a comprehensive roadmap to take the nation into the next era of development. Its new approach to delivering best-in-class government services is based on the fundamental principles of strengthening ties between the public and private sectors, while also creating platforms for critical knowledge exchange with governments globally. "We firmly believe that this new direction will tremendously benefit the UAE, by allowing us to leverage global expertise, while also continually evaluating our services and shape models for the future. In doing so, citizens will benefit from smooth and streamlined services and enhanced efficiency." He added: "GX Talks and the all-new GX Platform will showcase the UAE’s pioneering role in shaping the governments of the future, by employing the latest advancements in technology from artificial intelligence to Big Data and blockchain, among others." The UAE government launched GX Talks, a monthly forum hosted by leading academicians, industry experts and specialists in the services field, in November 2018. The first session hosted Zoltan Istvan, a futurist and world leader in information technology, who highlighted the technological advances that the world will witness over the next 30 years. In its second edition, Ross Maclean, Group Chief Digital Officer of GEMS Global Education and Varkey Group, explained the important link between specialists and innovators in achieving leadership in the government services field. In January 2019, Mudassir Sheikha, Co-founder and CEO of Careem, shared his experience and discussed the key tools to developing government and private sector partnerships. GX Talks will continue to provide glimpses of the public-private partnerships of the future, in addition to spotlighting the integration of human beings and technology in the years to come. In addition, it will examine government access to technology and innovation in serving the community, explore future interactive experiences, and reevaluate the role of government services. At WGS 2019, the platform will offer participants a preview of the UAE’s ability and experience in delivering services geared to the customers of tomorrow. In parallel, the GX Platform will bring together thought leaders, innovators, futurists, policy experts, and representatives of government organizations from around the globe to share information, exchange best government practices, and design innovative government services that add value to the customer experience. The GX Platform represents the UAE’s commitment to providing a blueprint for nations to define the next generation of integrated government service experiences. Services that are redesigned and co-created utilizing innovation and expertise, aims at providing a new integrated government experience that champions transparency, efficiency and agility. The platform will play a key role in instilling a culture of futuristic thinking, while raising awareness of the importance of preparedness in overcoming challenges and enabling change. The initiative supports the implementation of the UAE’s Strategy for the Future, which aims to foresee challenges and opportunities in vital sectors in order to analyse them and plan ahead.